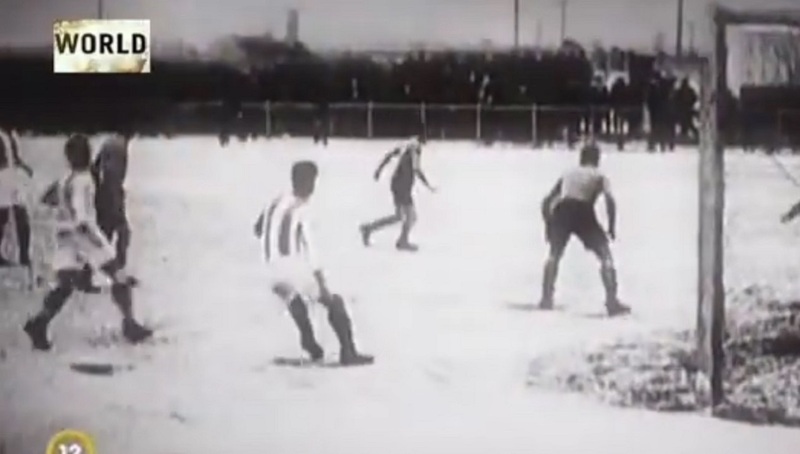 As I learned from this youtube clip, there is a documentary KL Auschwitz by Bárány László from 2008 aired on Hungarian television including footage of a football match apparently taking place in Auschwitz-Birkenau (here and here). On a closer look, it turns out that the scenes are not authentic footage from the concentration camp. 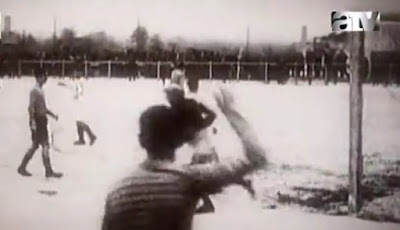 The skyline of an authentic photograph from the so called Auschwitz Album taken by the SS in the summer of 1944 was pasted as background of some historical football footage (Figure 1). Figure 1: Comparison of background of photograph from the Auschwitz Album (top) and still from Hungarian documentary KL Auschwitz taken from youtube channel netseries87 (bottom). Since the background of the footage matches the photograph from the Auschwitz Album, it would have been taken from the same position. The Auschwitz photograph was taken from an elevated position at the ramp, where the trains were unloaded. 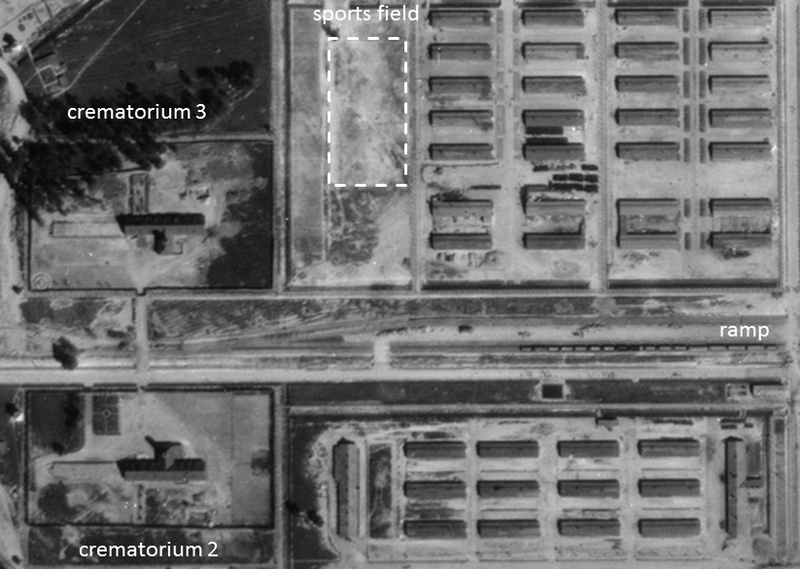 The footage was taken from the ground and the Birkenau sports field was located in the camp section BIIf next to crematorium 3 as actually pictured in the same documentary. Thus, the people on the Birkenau football field saw the crematoria from an entirely different perspective than illustrated in the film footage. 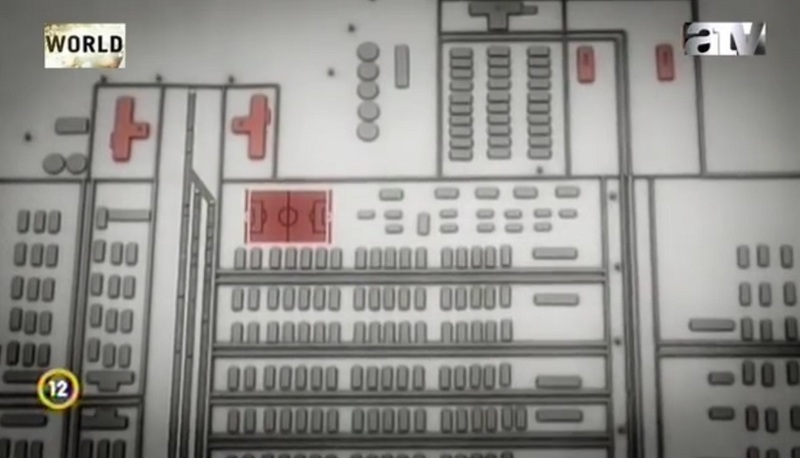 Moreover, the scene shows a several story building under the cross-bar of the goal, which the originator of the montage did not bother to retouch. In reality, there there was just a group of trees at this place in Auschwitz-Birkenau (top and middle images in Figure 2). Last not but least, another scene of the football footage taken from the same position as before - as borne out by comparing the goals and especially the several story building under the cross-bars - does not show the same background with the twin crematoria, but only crematorium 2 with a different silhouette (middle and bottom images in Figure 2). The crematorium in this scene was likely taken from another Auschwitz Album photograph, but combined with a different background. Figure 2: Comparison of background of photograph from the Auschwitz Album (top) with two stills (middle, bottom) from the footage. As of now, it is unclear who created the montage and why. The documentary does not seem to emphasise or claim the footage was taken in Auschwitz-Birkenau, so quite possibly the producers were not even aware of the fake used by them and thought to accompany the testimony on football in Birkenau with some historical footage of the time. The actual sport field of Birkenau was erected in Spring 1944 on an open area in the camp section BIIf by the staff of the male prisoner's infirmary directed by the section's Kapo Józef Bernacik. 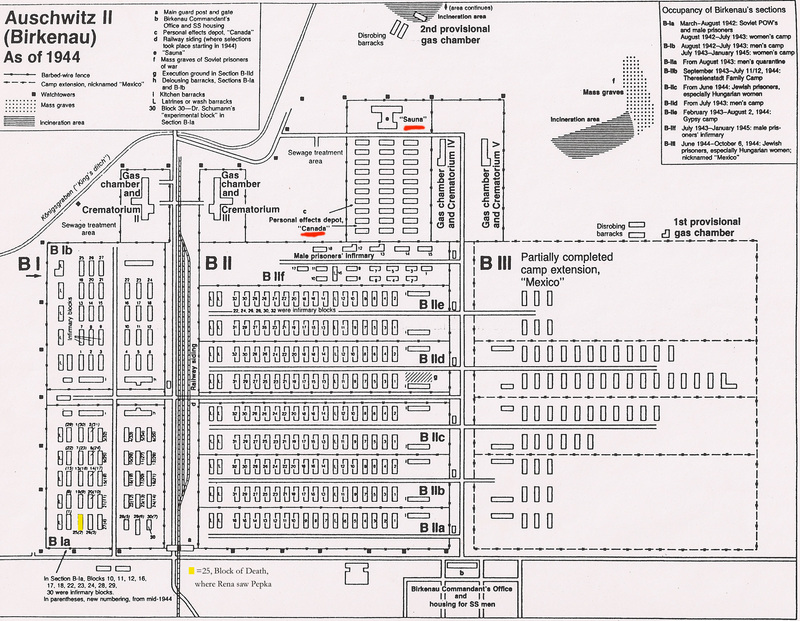 It was enclosed by the hospital blocks to the North, the "Gypsy camp" to the West, the road and later ramp between camp section BI and BII to the South and crematorium 3 to the West (Figure 3). Figure 3: Aerial photograph of Auschwitz-Birkenau of 25 August 1944. "It was early spring when we began building a soccer field on the broad clearing behind the hospital barracks. The location was excellent: the Gypsies to the left, with their roaming children, their lovels, trim nurses, and their women sitting by the hour in the latrines ,- to the rear — a barbed-wire fence, and behind it the loading ramp with the wide railway tracks and the endless coming and going of trains; and beyond the ramp, the women's camp - To the right of the field were the crematoria, some of them at the back of the ramp, next to the F.K.L., others even closer, right by the fence. Sturdy buildings that sat solidly on the ground. And in front of the crematoria, a small wood which had to be crossed on the way to the gas. We worked on the soccer field throughout the spring, and before it was finished we started planting flowers under the barracks windows and decorating the Blocks with intricate zigzag designs made of crushed red brick. We planted spinach and lettuce, sunflowers and garlic. We laid little green lawns with grass transplanted from the edges of the soccer field, and sprinkled them daily with water brought in barrels from the lavatories. Just when the flowers were about to bloom, we finished the soccer field. From then on, the flowers were abandoned, the sick lay by themselves in the hospital beds, and we played soccer. Every day, as soon as the evening meal was over, anybody who felt like it came to the field and kicked the ball around. Others stood in clusters by the fence and talked across the entire length of the camp with the girls from the F.K.L. One day I was the goalkeeper. As always on Sundays, a sizeable crowd of hospital orderlies and convalescent patients had gathered to watch the game. Keeping goal, I had my back to the ramp. The ball went out and rolled all the way to the fence. I ran after it, and as I reached to pick it up, I happened to glance at the ramp. A train had just arrived. People were emerging from the cattle cars and walking in the direction of the little wood. All I could see from where I stood were bright splashes of color. The women, it seemed, were already wearing summer dresses,- it was the first time that season. The men had taken off their coats, and their white shirts stood out sharply against the green of the trees. The procession moved along slowly, growing in size as more and more people poured from the freight cars. And then it stopped. The people sat down on the grass and gazed in our direction. I returned with the ball and kicked it back inside the field. It traveled from one foot to another and, in a wide arc, returned to the goal. Once more I ran to retrieve it. But as I reached down, I stopped in amazement — the ramp was empty. Out of the whole colorful summer procession, not one person remained. The train too was gone. Again the FKL blocks were in unobstructed view, and again the orderlies and the patients stood along the barbed-wire fence calling to the girls, and the girls answered them across the ramp. Between two throw-ins in a soccer game, right behind my back, three thousand people had been put to death. In the following months, the processions to the little wood moved along two roads: one leading straight from the ramp, the other past the hospital wall. Both led to the crematoria, but some of the people had the good fortune to walk beyond them, all the way to the Zauna, and this meant more than just a bath and a delousing, a barber's shop and a new prison suit. It meant staying alive." Aside as after work and Sunday activity of the functional prisoner's of the infirmary, the field was used for football matches of teams of prisoners from the Birkenau camp sections against each other and supposedly also Sonderkommando prisoners vs. SS. Already previously, in Spring/Summer 1943, the section BIIf might have been used for football matches of prisoners from Auschwitz main camp vs. Sinti and Roma. Plus the background is jumping around relative to the rest of the film. Visibly moving. The background wobble mentioned by Sergey is illustrated with two consecutive frames here. Apparently the video is no longer available on You Tube? Can you post a link to this vid maybe? The youtube clip down is just where I learnt of the footage; the actual documentary with the football scenes is still online. 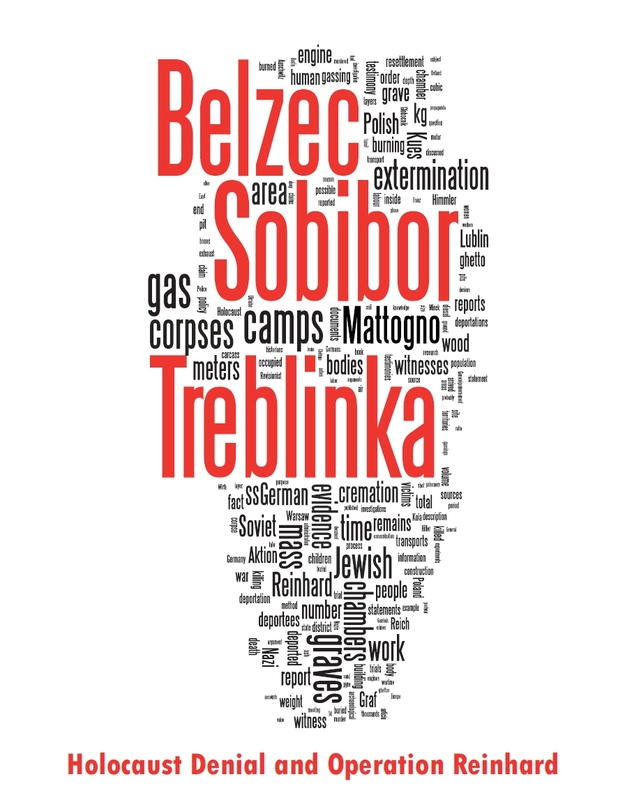 If this was a revisionist attempt to clinch the Birkenau soccer field (which few deny anyway- most choose to say that "sonderkommando played soccer after burning people")- then why does it not show up in Revisionism at all prior to this? It doesn't- so it's not a revisionist effort. Why would a holocaust liar make a faked stage of a soccer match at Birkenau? That would be even more insane. Based on this alone we can surmise that the film is real and it is strong evidence of a spirited soccer game in full view of Crema 2 and 3, the train line and the whole barracks complex. Nobody said this was a forgery by deniers, so your reasoning is entirely flawed. Nor is it 'insane' for documentary-makers to fabricate things, since they routinely 'reenact' scenes from history, and since there is a dearth of known, proven, reliably sourced film footage from the Nazi camps (most would be post-liberation), then there is a strong incentive for those working in a medium like television/documentaries to create some, simply to fill the gap. 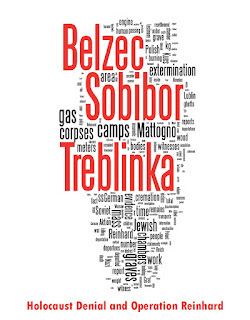 Please re-read Borowski's story and appreciate that irony and paradox are not the same as 'contradiction'; the football field and football matches taking place a short distance from the crematoria and gas chambers in Birkenau are completely part of history and do not contradict the historical reality of extermination one little bit. Irony is that which people do not get - especially moronic deniers.